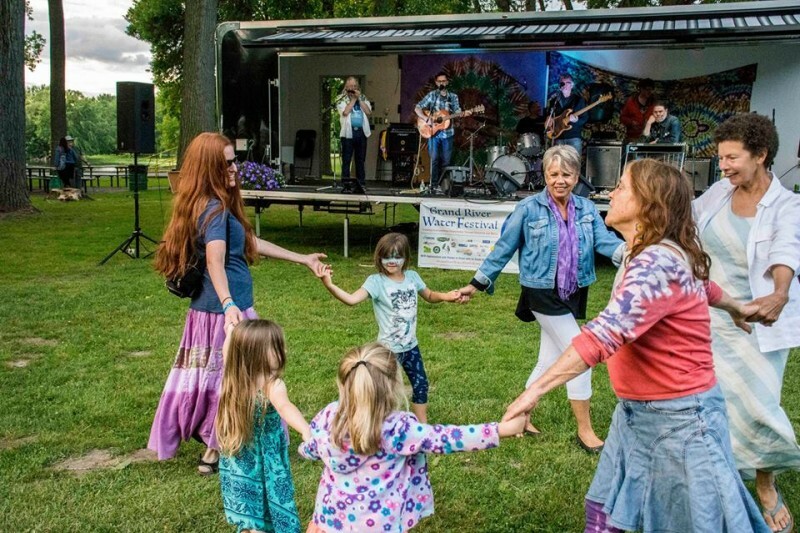 The ninth annual Grand River Water Festival, an educational and musical event centered around the appreciation of water and its necessity to our lives, will take place this Saturday, June 23, 2018 at Riverside Park. The event will feature performances of various local bands and speeches from environmental activists. The free and kid friendly festival aims to attract people to come and learn about specific water related environmental issues impacting Michigan, including PFAS contamination, the continuing water crisis in Flint, the dangers of the Enbridge pipeline Line 5, and many others, while enjoying music, food, and drinks. Bruce Ling, the president of the parent organization Grand River Water Shield Arts and Music Council that runs the festival every year, said the event is a “celebratory call to action” asking attendees to come out to enjoy the “holistic” atmosphere while keeping in mind the seriousness of working to protect Michigan’s water supply. A variety of musical genres will be featured at the event to appeal to everyone. Some of the musicians performing, all of whom are from Michigan, include Seth Bernard, Yolanda Lavender, Dede and the Dreamers, and more. “Music is a great facilitator for bringing people together. And what better way to group folks together to hear a message on environmentalism and sustainability than with music,” Ling said. Some of the speakers include Ruth Kelly, 2nd Ward City Commissioner of Grand Rapids, David Crandall from the Citizens Climate Lobby Grand Rapids, and an elder and water protector of the Ojibwa tribe, Great Grandmother Mary Lyons. An award given out every year during the festival which honors a specific individual for their commitment to water protection in Michigan will be given to Elaine Isely, the director of water programs at the West Michigan Environmental Action Council. This year’s recipient of the Water Protector Award has made strides in educating the community on water protection via programs that center around stormwater policy, water trail planning for the Grand River, bringing clean water awareness to urban neighborhoods, and many other projects. Before being a WMEAC member, Isely has done work at many other water focused environmental organizations, such as the Robert B. Annis Water Resources Institute (AWRI) at Grand Valley State University, and the West Michigan Strategic Alliance, where she worked on the organization’s Green Infrastructure Initiative. “By receiving this award it makes me very proud of the work I've already done, because I know that I've reached people and it makes me very encouraged to continue this work in the future,” Isely said. Parking will be free for the event, which takes place at Riverside Park, 2001 Monroe Ave. NE. More information can be found on the festival website.